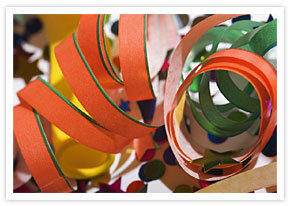 Party Supply: Do Your Party Supply Store a Favor. 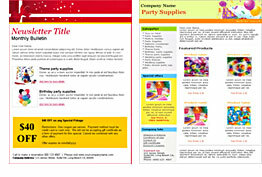 Email newsletters help get the party (suppliers) started! Hype new products with video and pictures in your emails. Invite new business from Facebook and Twitter using our share buttons. Stock the right inventory by using online surveys and polls. Email Newsletter Software easily and quickly produces powerful newsletters filled with information and special offers. Email Tracking tells you when your email messages are opened and what links are being clicked on. Autoresponders save you time because they automatically send out your email marketing for you.